An electric bike can be a life-changing purchase. With less time spent sat in standstill traffic and endless opportunities to get out in the fresh air, surely you’d be mad not to buy one. 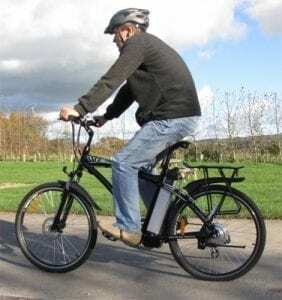 The perfect way to improve your fitness while helping to make the world a greener place, electric bikes are becoming more and more common in cities around the world. But your electric wheels come with a small dose of responsibility; a battery pack. There’s nothing worse than a flat battery ruining your day out, but with the right preparation you’ll never have to worry. Ensure that your bike battery stands the test of time (and lasts your entire journey!) with our top tips. This may sound like an obvious one, but here at Axcess we’ve heard horror stories of commuters stranded at work after forgetting to charge their e-bike battery the night before. Make it part of your cycling routine to charge it as soon as you get home (yes, even if you’re tired!). A full charge can take 6-8 hours – so leave it overnight and go for a kip. If you’re worried about missing out on your favourite long ride, or have an especially long route to work, it would be beneficial to buy a second charger. This way, you can leave one charger at home and one in your desired destination. Take a second charger on a long ride – a 2 hour charge on a pit-stop can give you power for an extra 30%. If your battery seems to be having major problems, it’s worth getting it tested. This will show any issues and will confirm whether or not you need to buy a new one. It can take up to 2.5 hours so we only recommend a test as a last-resort option. 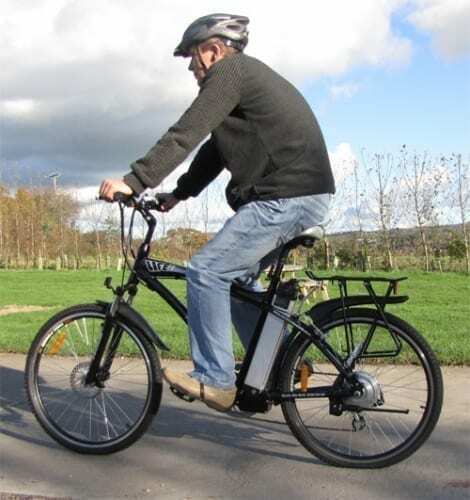 A battery test at Axcess Electric Bike costs £15 plus VAT. As anyone who’s tried to ride with one will tell you, a flat or deflating tyre will very quickly ruin your journey. Both the rider and the electric bike will waste a shedload of energy if your tyre pressure isn’t kept up, meaning your battery will rapidly start to dwindle. E-bike riders should stick to road tyres with a pressure of 50-60psi (pounds per square inch). A lot of the bikes seen at Axcess have very soft tyres – 20psi feels hard but it isn’t. Assuming that you’re very fond of your electric bike, please try to treat it that way. Batteries aren’t good in extreme weather so store yours at room temperature, even in winter. When the climate drops to below 10 degrees, the battery needs to be brought indoors. They also appreciate regular use, so even if you decide to store your battery during colder seasons, it’s still a good idea to charge it every other month. In the same way that your battery has a longer life span if your tyres are pumped up, it will also perform better if your brakes are in tip-top condition (also helpful for other, obvious reasons!). Check them regularly to ensure that the brakes aren’t binding against the wheels.It makes a smoother ride for you and ensures little wastage on your energy supplies. 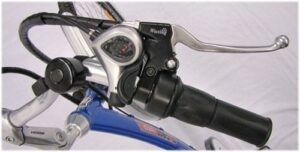 We recommend having regular checks on your electric bike to ensure that you’re always riding safe. Please see our list of services for more information.